November 5, 2018: Celebrated violinist Hilary Hahn is out with a new album of solo works by J.S. Bach. It completes a cycle she started at age 17, when she chose for her debut album two of Bach's three partitias and one of his three sonatas. Now, in Hilary Hahn Plays Bach, she's recorded the remaining one partita and two sonatas. 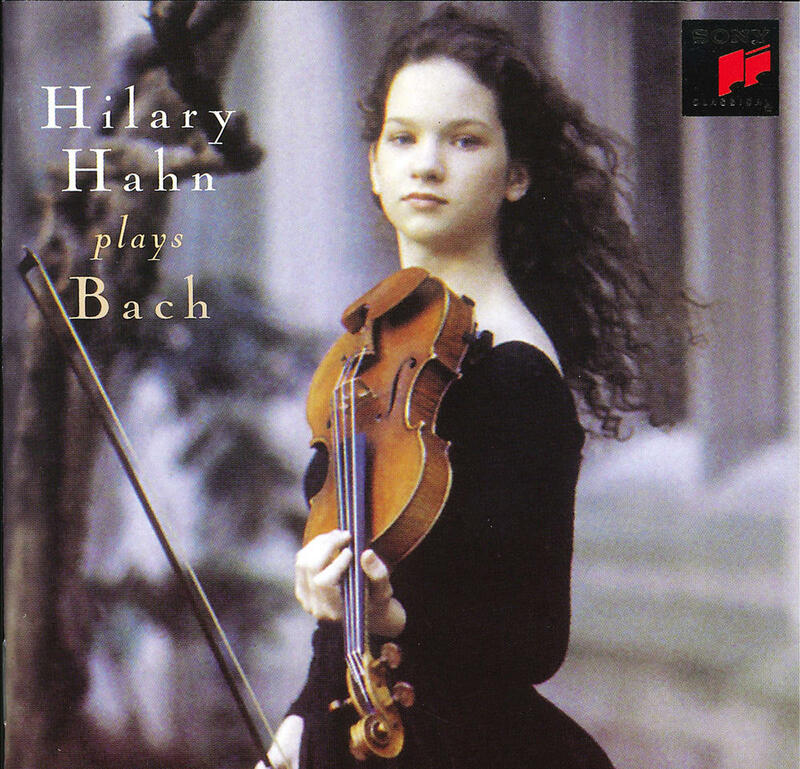 Hilary Hahn was 17 when she recorded this Bach album. When Hilary recorded the first three works back in 1997, she wasn't intending to record the complete set. "Three of the pieces fit very well into a CD and I just picked the three that I was most familiar with, the three I played the most." But as the years went by, fans and colleagues alike kept asking for the others. "So eventually I thought, enough time has passed. I should do that. But I liked having it as something to look foreward to. It's a funny feeling when its actually done, and the whole set is recorded, over 20 years, granted. But it is complete now." These solo pieces by Bach, she says, have obtained "cult status" among violinists and music students. "It's notoriously difficult to play these works technically, but also musically,there are so many directions you can go in with these pieces that you can play them in all these different styles." Read Q&A with Hilary Hahn here. Does a song, or even a symphony, trigger memories of important moments and milestones in your life? For violinist Hillary Hahn, a little-known, 19th-century concerto is an important part of her history and her current repertoire. Hilary Hahn chats backstage at Verizon Hall with WRTI's Susan Lewis. It’s just after 1:00 in the afternoon, and I’m holding up a wall backstage at the Kimmel Center, after watching a Philadelphia Orchestra rehearsal with Music Director Yannick Nezet-Seguin and soloist Hilary Hahn. Musicians are heading out, the hall is emptying.